http://www.thehindu.com/news/cities/mumbai/Food-on-the-go/article16087522.ece?ref=tpnews Over the last few weeks I have been on a whirlwind series of travel for work and vacation — and I have taken all sorts of transport — flight, rail, bus, car, hikes, the works. For me, food and travel are inherently connected, like so many of us. And so, I found myself abandoning my Kindle to observe just how the nature of food we eat as we travel has changed. A toddler ambled across our coach’s corridor, his beaming face crumpling when he saw his brother tucking into a packet of Kurkure. “Kudkude,” he yelled, his hand outstretched, trying to grab at that packet. His brother sulked as he was forced to share his precious stash, while the toddler settled into someone’s lap, happily nibbling at his Kudkude. He couldn’t say “Delhi” — his uncle was trying to get him to say that, but he could say “Kurkure”. Priorities! On another train journey, a pair of tweens switched on their MacBook, attached a dongle, and promptly ordered themselves Domino’s Pizza, after a fairly intense discussion about the toppings. The pizza, it seemed, was scheduled to reach home about the same time that we would all get home. Not to mention, it would be washed down by the accompanying bottles of cola. At the hotel we stayed in Binsar in Uttarakhand, a mother proudly told the wait staff that her son just loves Uncle Chipps, and no meal is complete without it. 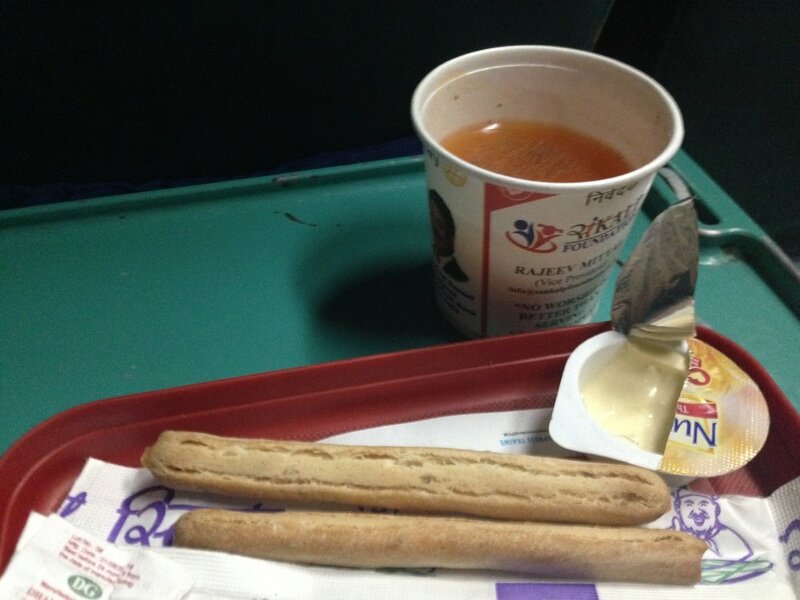 On another flight, the cup-o-noodles were what most families were ordering for their children. Our cities and villages are now dotted with little kiosks, where traditional local food such as podi idlis or banana chips are shoved aside by shiny packages of processed foods of all sorts. Our trekking guide at Binsar in Uttarakhand kept stopping to pick up remnants of such packaging that were littering his beloved forests, even though there were dustbins inside the sanctuary. Our walk in beautiful Andretta in Himachal Pradesh was strewn with packets of Uncle Chipps, Lays, and Kurkure, wrapped around plants and trees. All of this only underscores the many studies and research floating about — that Indians, including children, are taking to packaged and hyper-processed food with gusto. This, at great cost to our collective well being, including our children’s health. Many of us un-millennials (is that a word?) have fond food travel memories. Our family summer vacations would almost always commence with us lugging Milton flasks filled with ice and water onto the train. As the train trundled on, mum would produce crisp aloo nu shaak, potatoes cooked in their jackets Gujarati style, along with methi theplas, a dab of mango pickle, and of course dahi. In intervals, sev mambra would be produced, carefully stored in ziplock bags ordered from the USA aunt, as well as sliced fruits, and godpapdi. Yet now that we’ve grown up and have our own families, we don’t always do that. Of course, as I grew older, I would often be embarrassed by this stash of food we carried along with us — whether it was to Baroda or to Cape Town. It’s only now that I have come to appreciate the hard work that my mum put in, in the form of hours in the kitchen, to ensure that we would be well-fed through the trip. But then let’s face it — all of this eating well takes effort and the burden almost always falls on the women of the household, unfairly so. I cook almost every day, but even the thought of producing that quantum of food is daunting for me. And it’s getting harder to trust street food — you don’t know what oil or water it was cooked in, cut fruits and vegetables are a strict no-no, and it is often deep fried starchy food such as samosas, kachoris, or vada paos. It’s not surprising that hard-pressed for time and with fewer healthier choices on sale, we are choosing to pick up ready-to-eats, convenience foods, outsourcing our food decisions to corporates. The difference is evident in the way we travel. We can’t even be bothered to carry our own water bottles, preferring to buy plastic mineral water bottles instead. Who wants to lug about a steel water bottle when you can use and throw a plastic one. Never mind the environmental impact. Yet does it have to be all packaged, salty, additive-laden food that we need to pack into our travel schedule? Many of these food labels read like a sci-fi movie, undecipherable, straight out of a lab, rather than a farm. Now when I travel, I pack myself a sandwich or get my cook to make me a stack of theplas. Add some fruits and you’re sorted for the journey. A friend carries homemade granola with her, another carries packets of puliyogare to mix into rice. On a trip to Madhya Pradesh, we looked at the unappetising train fare (no it wasn’t the Shatabdi) and cheered up when a friend produced luchis and aloo sabji for dinner from her bags. Really, who needed chips?